Toxic tort lawsuits are some of the largest and most complex cases. Read on to learn about the basic law underlying toxic torts, the parties who are generally sued, and what damages can be recovered. According to a report conducted by ABC15 Investigators and the Arizona Center for Investigative Reporting, more than 2.8 million Arizona residents live within areas that are most vulnerable to a catastrophic accidental release of hazardous chemicals. These toxic chemicals are stored in more than 100 facilities across the Grand Canyon state and, if released, would cause temporary blindness, excruciating pain, suffocation, and even death. So what happens if an employee at one of these facilities is negligent and accidentally releases a hazardous chemical that causes nearby residents to become blind? For one, the term “toxic tort” would start appearing all over Arizona newspapers. A “toxic tort” is a legal claim for an injury caused by exposure to a dangerous substance. This article takes a look at the basic law underlying toxic torts, the situations in which most toxic tort cases arise, who’s liable, and what damages are generally available to the people injured. Occupational exposure. A toxic tort claim may be appropriate when workers are exposed to toxic substances at high levels for a short period of time or low levels for an extended period of time. The most famous examples are the cases that arose after workers were exposed to asbestos (a mineral that causes severe health problems when inhaled) beginning in the 1930’s. Another example is the Agent Orange class action lawsuit started on behalf of Vietnam veterans who were exposed to the chemical. Pharmaceutical drugs. Sometimes pharmaceutical drugs cause unintended side-effects or manufacturers mislead consumers about the side effects. For example, the State of Massachusetts recently sued Purdue Pharma for promoting higher doses of OxyContin for no other reason than the fact that higher doses caused more people to become addicted, which lead to increased profits. Exposure in the home. When people breathe or ingest substances in their home (like toxic mold) a toxic tort lawsuit may be appropriate. Consumer products. When people use products that cause unintended illness, a toxic tort claim may be warranted. For example, a jury recently awarded $289 million dollars to a groundskeeper who proved that the glyphosate found in the weed killer he used for years caused his cancer. If you’re injured by a toxic substance, there are a number of potential legal theories you can use to establish liability and receive compensation. While it’s recommended that you get in touch with an experienced toxic tort attorney to identify the best theory for your case, some of the most common legal theories include: negligence, strict liability, intentional misrepresentation or fraud, and workers’ compensation claims. Let’s take a closer look at each of these theories below. As we look at these theories, keep in mind that toxic tort lawsuits are often filed as class action suits. A “class action lawsuit” is one in which a group of people with the same or similar injuries caused by the same product or action sue the defendant as a group. For example, let’s say you’re a construction worker and your company forces you to work with asbestos but fails to provide the proper equipment to filter the asbestos out of the air or prevent your exposure. In this situation, the construction company, which owed you a duty to provide you with a reasonably safe work environment, likely breached that duty by failing to provide you with the necessary safety equipment. So long as you can provide proof that the exposure to asbestos caused an injury, you will have successfully made out a negligence claim. Unlike negligence, strict liability exists regardless of fault. The theory behind strict liability is that some activities are so dangerous that the person or company who caused the resulting injury should be held liable. The most common example of strict liability is product liability. When a company makes a product available to others that is unreasonably dangerous (even when used properly), the company will likely be held strictly liable for any injuries that result from the dangerous product. If a person or company knows that a substance is dangerous, but intentionally conceals the danger or misleads the consumer about the seriousness of the danger, the person or company may be liable for intentional misrepresentation or fraud. For example, let’s say a pharmaceutical company is aware that a certain chemical in a drug causes the drug to be addictive. But, the pharmaceutical company explicitly markets the drug as being non-addictive. In this situation, a consumer who purchases the drug and becomes addicted may have an intentional misrepresentation or fraud claim against the pharmaceutical company. If you were harmed by a toxic substance while on the job, you can file a workers’ compensation claim. Workers’ compensation is a form of insurance that pays medical expenses and lost wages to employees who are injured while doing their job. Most employers are required to carry workers’ compensation insurance and most injuries are covered so long as the injury occurred during the course of employment. One of the benefits to filing a workers’ compensation claim (as opposed to filing a civil lawsuit) is that workers’ compensation is a no-fault insurance system. This means that you don’t need to prove that your employer did anything wrong in order to receive compensation for your injury. Enjuris tip: There are a number of steps that must be taken in order to file a workers’ compensation claim in Arizona. On top of that, most of these steps must be completed before a strict deadline. 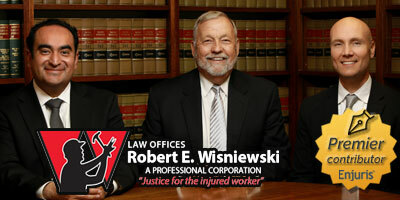 Read our article: How to File a Workers’ Compensation Claim in Arizona. Defendants in toxic tort cases are often large companies and they generally defend toxic tort claims aggressively. Two of the most common defenses you can expect are: 1) lack of causation and 2) failure to file the claim within the statute of limitations. The central issue in most toxic tort cases is causation. As a reminder, the plaintiff must show that their exposure to the toxic substance caused the physical harm. The simplest way to determine whether A caused B is the “but-for” test. Is it true that but for the act or omission of the defendant, the injury wouldn’t have occurred? If the answer is yes, then you have causation (in most cases). If the answer is no, then you don’t have causation (in most cases). Establishing this causal link can be extremely difficult in toxic tort cases for a number of reasons. First, many exposures don’t produce any harm until years and sometimes decades after the initial exposure. This time gap allows the defendant to argue that some intervening factor (such as exposure to the same chemical in another situation or exposure to a different chemical) may have actually caused the harm. Looking back at the example of the groundskeeper who developed cancer as a result of the glyphosate in weed killer, he didn’t develop cancer until years later as a result of exposure to glyphosate. So how did he prove the glyphosate caused his cancer? What if he just has bad genetics? What if cancer runs in his family? What if he used some other product that contained glyphosate? Second, science is always evolving with advances in knowledge and technology. It’s not always clear whether a substance causes the alleged harm. Using our same example, Monsanto argued that glyphosate doesn’t actually cause cancer at all, and the company was able to find experts that supported their argument. In Arizona, the statute of limitations for most toxic tort claims is 2 years. This means that a person must file a lawsuit within 2 years of when they discover (or by the exercise of reasonable diligence should have discovered) that they were injured by the defendant’s conduct. When an injury or illness occurs so long after the event that caused the harm, it often takes a while for the plaintiff to draw the connection between causation and consequence. As a result, defendants in toxic tort cases often end up arguing that the plaintiff should have discovered they were injured by the alleged conduct years ago and the statute of limitations has since run out. Figuring out who’s responsible for your toxic tort exposure to a dangerous substance can be difficult. As a result, plaintiffs or their attorneys generally sue everybody that had some link to the toxic substance and let the defendants fight among themselves. Enjuris tip: Use our Post-Accident Journal to record to help document the impact of your injury on your daily life. Also, use our Damages/Expenses Worksheet to keep track of the medical costs associated with your injury. In the case of a workers’ compensation claim, you can recover medical expenses and income replacement benefits. In general, all reasonable and necessary medical treatment will be covered. As for income replacement benefits, the amount you receive will depend on the severity of your injury. Notably, punitive damages are not available in a workers’ compensation claim. Do you need professional legal advice? Find an Arizona attorney using our handy Law Firm Directory.